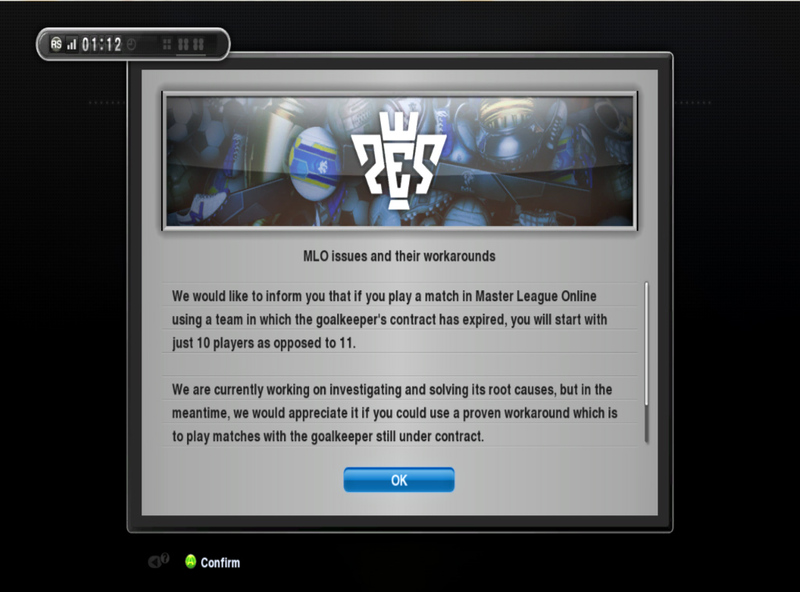 Konami would like to inform you that if you play a match in Master League online using a team in which the goalkeeper's contract has expired, you will start with just 10 players as opposed to 11. Konami are currently working on investigating and solving its root causes, but in the meantime, konami would appreciate it if you could use a proven workaround which is to play matches with the goalkeeper still under contract. how can i help you , what's your problem?